Zcash (ZEC) is a new decentralized and open-source crypto currency that is being advertised as an anonymous solution that offers privacy and selective transparency of transactions. Zcash payments are still going to be published on a public blockchain like other crypto coins, but the sender, recipient, and amount of a transaction will remain private. Zcash relies on zero-knowledge proofs in order to guarantee the validity of transactions on the network, but without actually having to reveal any additional information about them. This makes it possible to conceal values and other identifying information from the public blockchain and users simply prove that the values balance out and that they are not double-spending the amount they want to send. Zcash is currently in beta and running on a testnet only, the official launch and genesis block on the mainnet is scheduled for October 28th or in about 21 days from now. This is when the first Zcash monetary units will come into existence, based on securely generated zkSNARK parameters, and when the mining of Zcash will actually launch. Currently Zcash is running a contest for an open-source Zcash miner until October 27th (the day before the official launch) a prize fund of $30,000 for the winner(s) of the challenge. Do note that the winning CPU miner entry will receive a $10,000 prize, the winning GPU miner entry will receive a $10,000 prize and the other $10,000 of prizes will be distributed to the Runners Up. Zcash is using the so called Equihash algorithm for the production of new coins. Initially the Zcash interface will be a command-line tool on Linux, and will not include a graphical user interface, nor run on Windows or Mac OS at launch time. Zcash’s monetary base will be the same as Bitcoin’s – 21 million Zcash currency units (ZEC) will be mined over time. 10% of that reward will be distributed to the stakeholders in the Zcash Company — founders, investors, employees, and advisors, this is the so called “Founders Reward”. At first, 50 ZEC will be created every ten minutes and 80% of the newly created ZEC will go to the miners, and 20% ZEC to the founders. 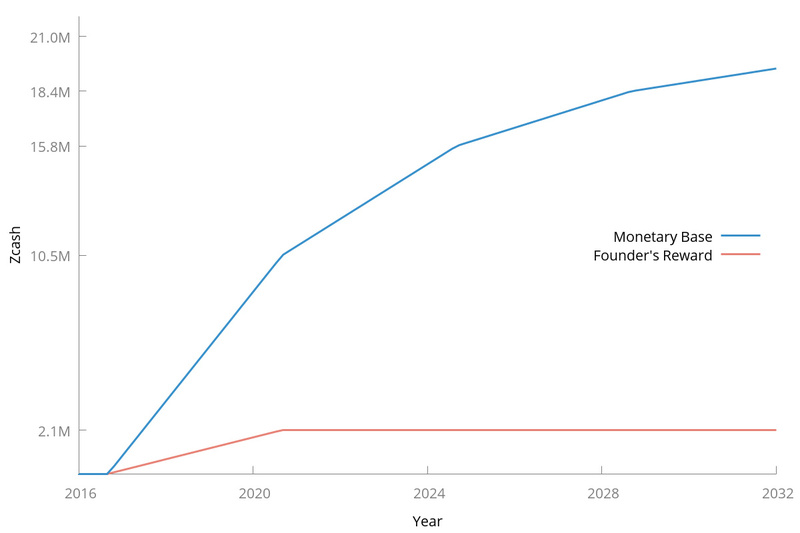 Every four years, the rate of ZEC being created will halve. After the first four years the ZEC created per ten minutes will drop to 25 ZEC, but after the first four years, 100% of it goes to the miners. The end result is that there will ultimately be 21 million Zcash, and 10% of it, or 2.1 million ZEC, will have been initially distributed to the founders. With this approach, the founders are incentivized to support Zcash for the long haul (at least for four years), and they have limited ability to pump-and-dump. 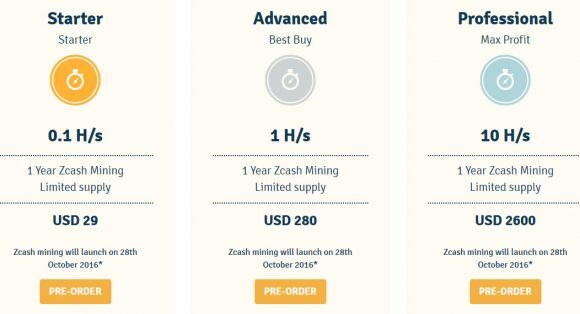 Since initial public mining for Zcash (ZEC) will most likely be limited to CPU mining on Lunux only, there is already an interesting alternative available from Genesis Mining as they have started taking pre-orders for cloud mining of Zcash. The company is offering three different basic cloud mining plans that are with a 1 year term and no additional maintenance fees applied, so the price you pay for the hashrate is the final one. Currently you can get 0.1 H/s for $29 USD, 1 H/s for $280 USD and 10 H/s for $2600 USD. 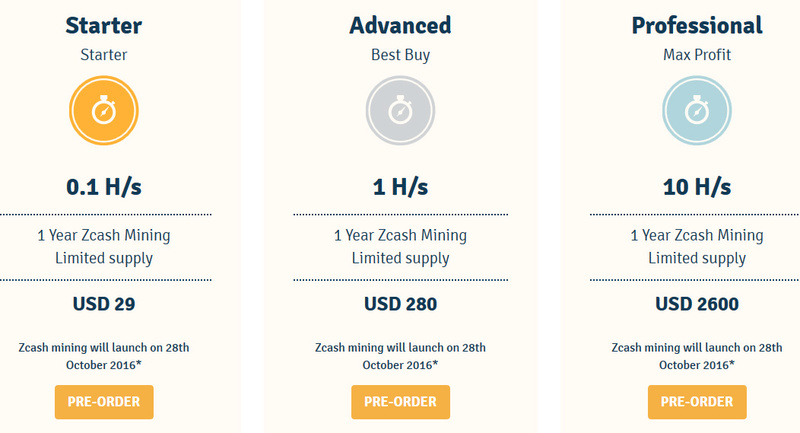 Do note that these are pre-order prices and there is no guarantee what will happen with Zcash once it launches even with the already big interest in it from users. You can also use our special discount code during checkout to get 3% off the regular prices for Zcash mining hashrate, just enter CryptoMiningBlog5 as promo code during checkout to take advantage of the lower price. Miner, What are those pools? They will launch a coin with that expectation widouth windows wallet… for this reason i can say that this coin will be more one scam, the DEVS don’t want do the things RIGHT since from the begguining.. If the project is a “heavily funded one” maybe needs to be lanched complete, more than 80% of the people don’t use linux, i’ts a waste of time develop tools for only the 20% that uses this SO. Without saying this is a scam, just think about the coins that we have seen with premined coins. Most people seriously into Crypto use Linux in some form or another. If someone can not install Ubuntu Desktop I don’t really consider them computer literate. Additionally almost no large scale mining farms use Windows. Windows is a huge security headache and it’s kind of dumb to put your gold mine (GPU rigs) and piggybank (Wallet) on a Windows machine. Just because 80% of the world uses it to check their email does not mean that 80% of people in crypto in a SERIOUS way use it. Most are on Linux or Mac (also based on a form of Unix) for the aforementioned security issues. So, you look a bit n00bish, suggesting ZCash is a scam because you can’t point and click your way to mining it. Educate yourself. if you can use command line miners in Windows you can do the same in Linux. BTW: There is an open source GPU miner being developed separate and apart from the contest and it should be available in about a week or perhaps less. It’s focus is on AMD GPUs for the same reason ZCash focused on Linux. Because most serious miners in crypto use AMD cards. Eric Voorhees, Roger Ver, Vitalik Buterin and others aren’t people who support scam coins. Like I said, educate yourself so as not to appear a n00b. Okay pro, i think that “most serious miners” uses amd bcause the amd are more eficient, now you teach me that they uses to look more cool in the crypto world. Has you can see, AMD loses their throne for nvidia on every coin, this include ETH… if u deep search you will find some people making 32Mh/s with 100W on a GTX 1070. My farm uses windows, and almost of my cards are NVIDIA, if i try to put LINUX on it, my power consumption will increase more 20% just bcause not-optimized drivers, bcause u now, Hardware manufacturers will never spend same time doing a LINUX driver has they spend to opmize windows drivers. But by the way, i don’t care what u think about me, also if you prefer, can call me n00b. Hell, no miners for Windows.Linux this year fell to the lowest percentage of use. It’s not fair, the founders are greedy people (want less miners ). Who needs an annoying knocking command in the terminal and sudo this, sudo that?! Let them go without a trace and terminal and sudo.The law is Windows and install, install and only install,the brother.I used Ubuntu and sent him to hell, that is. replaced with Windows. @Jones They are doing the miner contest to make mining accessible, but since most use Windows, there will be no casual miners to help decentralize, at least not at start. I mine on Windows just because currently 4xx cards can’t be easily undervolted on Linux. Use Linux for wallet if you are worried about security. @TheRealZer0Cool 1070 is arguably faster than an RX-470/480, but it costs nearly twice as much. Custom bios 470 8GB can push 30MH, for $240, 1070 can do 32MH, for…. $400+ 7% faster for 70% more cost is not what you call a winner. @TheRealZer0Cool Power consumption undervolted 470 only mining Eth is similar to a 1070, maybe less. Also Nvidia cards don’t dual mine well.